Stephen Bantu Biko, born December 18, 1946 and murdered the 12th of September, 1977 was a champion of Pan-Africa and a hero of the anti-apartheid movement in South Africa during the 1960s and 70s while Nelson Mandela was as a prisoner on Robben Island. He was a pacifist, student leader, and the founder of the Black Consciousness Movement. He believed in a South Africa without race, without subjugation, and without class division. He fought to empower his fellow black men in South Africa and abroad. He taught his countrymen “Black is Beautiful,” and believed, like Fanon, that the minds of the black man in South Africa had silently been broken by the racial, social, and ideological hegemony of the Colonizer. On August 18, 1977, Biko was arrested at a roadblock for his cries for the end of white dominance and racism and “interrogated” (tortured) by police. He was beaten to within an inch of his life, and expected to survive the 7,000 mi drive to the Pretoria Prison. Upon his death, shortly after arrival at the prison, police claimed it was the result of a ten-day hunger strike. May God rest his soul. But, more importantly, may we continue his fight! 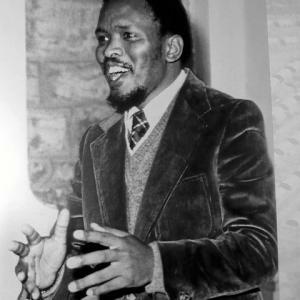 This week’s Throwback Thursday is in honor of Steve Biko. 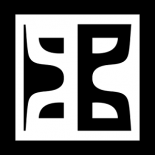 This entry was posted on March 27, 2014 by grahamtbaden in Fati Ex Machina and tagged african history, Apartheid, Black Consciousness, Mandela, South Africa, Steve Biko, TBT, Throwback Thursday. Response -- Roy Scranton, "Learning How to Die in the Anthropocene"